Honey Bunny wall hanging. 43 inches in diameter. Raw edge applique. 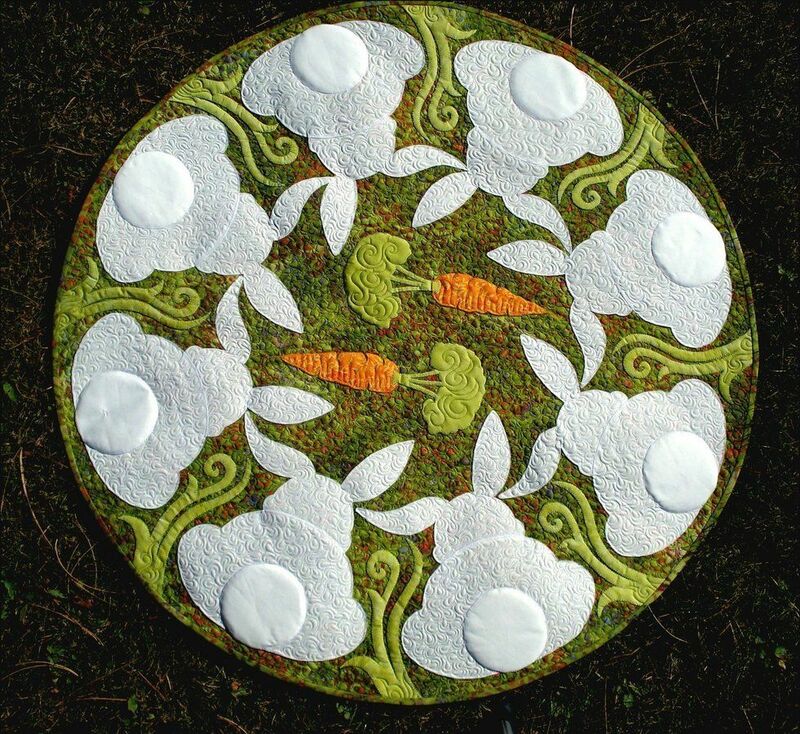 Fiberglass round quilt hoop hanger available at www.gonesleeveless.com. It is inserted into the bias binding.